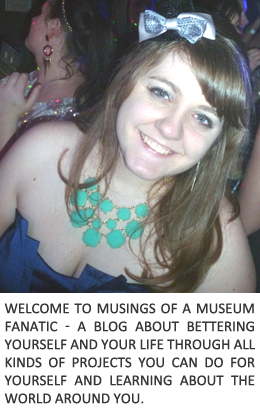 Choosing a favorite museum is like choosing which of your children or pets you love the most. Having to pick even a top ten is like choosing between your favorite ice cream flavors, I'm not sure about anyone else but I have several and I love them all. Chicago is home to so many amazing museums it really is tough to name a top ten but if I was to recommend 10 museums you should see first in the Chicago area these would definitely be the top ten. Be sure before you head out to check out when free days are for these museums! I love the Field Museum we've been visiting there since I was little and I spent several years as an intern there. While I love it so much that is not the only reason that it makes my top ten. This world class museum has some must see happenings. My favorites are getting to see Sue, the most complete t-rex in existence and the Tsavo lions. While those staples are my favorites there is always something new around the corner from a current exhibit about Chicago brewing to beautiful nature art pieces. Most people don't tend to head to the south side or if they do they head right to the Museum of Science and Industry. They miss out on a gem on the University of Chicago campus. In many museums you can find ancient Greek or Roman artifacts by the dozens but the Near East doesn't get nearly as much love. Plus supposedly Indiana Jones is based on the founder of the Oriental Institute, James Henry Breasted. I have one word for you ... Tank Garden. Alright I lied two words. This is another museum that I've spent my life visiting so it holds a special place in my heart but it's an amazing museum. You start outside in the Tank Garden and then head in. Where you see the history of the First Division starting in World War I until the present day. Not only do you get to see that history you get immersed in that history. Learning and history is so much more fun when you can immerse yourself in it. Chicago is home to some pretty unique museums. Top of the list would definitely have to be the International Museum of Surgical Science. Located just a stones throw from the Chicago History Museum you'll find all sorts of interesting medical history at this Gold Coast museum. Be sure to check out their tours on their app, there are about half a dozen from a tour focusing on the amazing architecture of the building to featuring the morbid curiosities that you can find throughout the exhibits. The Chicago area is blessed to have several really amazing children's museums. DuPage Children's Museum has gone through some transformations the past number of years. After having to redo their exhibits because of a flood they are more amazing than ever. From learning about water to music and shapes with everything in between. You could spend multiple very fun days here. I wish they would have an adults only day so I can go on my own! 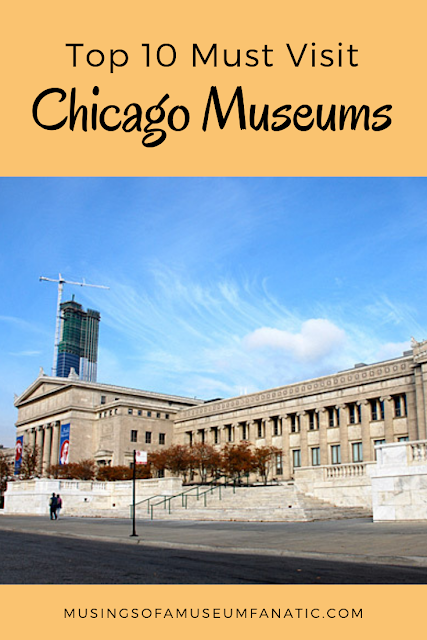 The Chicago area has a wonderful history and with that comes wonderful history museums to preserve that history. Elmhurst History Museum is a shining example of everything wonderful that is local history. With a fantastic permanent exhibit to showcase the history of Elmhurst, exciting temporary exhibits about some of our favorite topics like rock and roll and Snoopy topped off with fun programs and events. You always need a little bit of nature in your life. From forest preserves to botanical gardens Chicago has every type of green space you can think of. It's only natural that there would be an amazing nature museum as well. They not only have interesting and instructional exhibits but you can always find some sort of living thing whether it's turtles that are out or visiting their butterfly haven. I feel so cliche saying that the Art Institute is on my top ten but when it is home to some of my favorite pieces of art it has to be on the list! I love visiting my friends in A Sunday Afternoon on the Island of La Grande Jatte. I could stand in front of that painting for hours and always see something new. There are some of the most interesting, iconic and important pieces of art in the world from ancient times to contemporary art found at the Art Institute of Chicago. You could probably visit a dozen times and see a new piece you didn't see last time. Last but certainly not least is a unique Chicago area museum. Naper Settlement is an amazing open air museum. You can walk through Naperville history from the early days until the turn of the 20th century. See this history through costumed interpreters and historic buildings. There is something so fun and unique about being able to step back in time and immerse yourself.